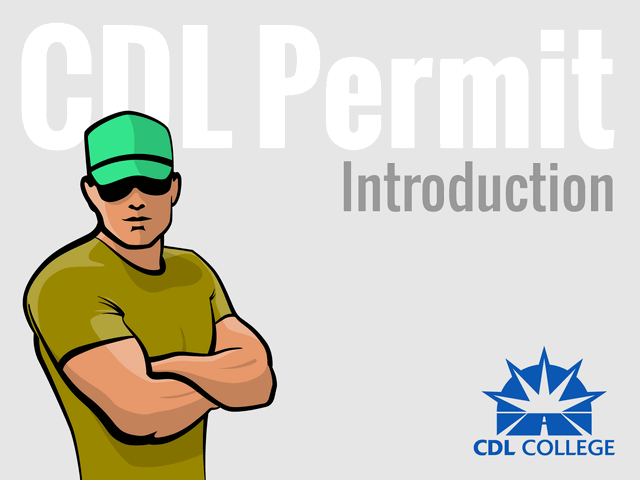 What Are the Different Types of CDL? There are three classes of CDL. A class "A" is a vehicle that pulls a trailer. The exact definition of a class "A"; any combination of motor vehicles with a gross combination weight rating of 26,001 or pounds or more provided the GVWR of towed vehicle is more than 10,001 pounds. A class "B" is the next class of CDL vehicle. The exact definition of a class "B"; any single vehicle with a GVWR of 26,001 pounds or more. A driver with a CDL B may not tow another vehicle that has a GVWR more than 10,001 pounds. A class "C" is the next class of CDL vehicle. The exact definition of a class "C"; any vehicle with a GVWR less than 26,001 pounds and was designed to transport 16 or more passengers OR transports hazardous materials in placardable quantities. A driver with a CDL C may not tow another vehicle that has a GVWR more than 10,001 pounds. You may drive specialized vehicles by adding an endorsement to your CDL license. They've recently made some changes to the CDL Endorsments and Restrictions. H is a hazardous materials endorsement is required if your truck transports an amount of hazardous materials that requires placards. X combines the tanker and hazardous materials endorsement. Useful if you want to haul gasoline. T allows you to pull double or triple trailers. A class "A" CDL is required. P is a passenger endorsement is needed to operate a vehicle that was designed to transport 16 or more passengers (including the driver). S allows you to drive a school bus. Obtain a DOT physical. Study and pass the CDL written exams at your local motor vehicle office. Finally, pass your state's basic control skills test (driving). A CDL permit is required before you take the basic control skills test. You must be at least 18 years old. Bring your DOT physical card and any other document required by your home state to obtain a driver license (social security card, birth certificate, phone bill, etc.). You'll need to pass the written exams at motor vehicle office before obtaining your CDL Permit. These free CDL courses will prepare you for the written exams. You need a minimum passing score of 80% before they issue a permit. Which Written Tests Do I take? Everyone must take the General Knowledge Test. You'll need to take Air Brakes if you plan on operating a vehicle with air brakes (most CDL vehicles). Class A CDL Drivers need to take the Combination Written Test. Take the passenger written test if you plan on carrying passengers. They'll place an "L" on your license; if you do not take the written exam for air brakes or if you do not drive an air brake vehicle during your skills test. NTT will be placed on your license if you drive a vehicle with a GVWR under 26,001 pounds,and pull a trailer with a GVWR over 10,001 pounds (a pickup truck with a large trailer) A "K" will be placed on your license if you are under 21 or have certain medical conditions. A "K" will restrict you from crossing state lines. You'll only be allowed to operate a commercial vehicle in your home state. You're eligible for the basic control skills to test (driving test). There are three parts to the skills test; a pre-trip vehicle inspection will test your ability to determine if your vehicle is safe to operate. Next, is the basic vehicle control test (backing). They'll test your skills controlling the vehicle around objects. You'll be asked to move your vehicle forward and backward through a series of cones. The last step is the on-road driving test. They'll see if you have the skills to drive safely in a variety of traffic situations.